Seattle and Los Angeles when it comes to aerospace, it really is a tale of two cities. Two affiliated investment partnerships in Burbank, Trefoil Capital Investors II L.P. and Trefoil Israel Partners L.P., announced last week that they have sold half of their 22.5 percent stake in Israel's largest industrial enterprise, Koor Industries Inc.
Los Angeles may have lost its place as the country's biggest airplane factory, but it is emerging as the country's biggest satellite factory. Illegal campaign funding is the current hot topic on Capitol Hill, but managers at downtown L.A.'s beleagured Lippo Bank say they are more concerned with correcting years of poor banking practices than any misdeeds in the funding scandal. Robert Brown has been named vice president of creative services at Baxter Gurian & Mazzei Inc., an agency which specializes in medical and health care marketing communications. He will work out of the agency's Los Angeles office. Rumor has it that heads were rolling at Walt Disney Co. last week, with the fury emanating from none other than top dog Michael Eisner himself. As the president of the Los Angeles City Ethics Commission, Raquelle de la Rocha has one of the most important non-elected positions in Los Angeles city government. Dave Charest has been named senior manager for Grant Thornton LLP's management consulting practice. Charest will work out of the firm's Los Angeles, Irvine and Woodland Hills offices and will work within the company's Information Technology practice. At the heart of leadership is power a fact of life in business. Power is an aspect of social reality that many have tried desperately to remove from organizations. Alice Lee still remembers the day four years ago when she was handed her pink slip, like so many fellow engineers working at McDonnell Douglas Corp.'s space division. Darrell Van Citters certainly has enjoyed the national attention he and his Burbank animation boutique have attracted for their creation of a burger-swallowing tattoo that runs around on the body of basketball bad boy Dennis Rodman. Enough has been written about estate planning in recent years to fill several editions of the Encyclopedia Britannica. But one bit of advice unavailable in all the tomes on this subject is that the best time to sell a business is right now. Just two months after city officials and developers finally unified behind a plan for rebuilding Memorial Coliseum, proponents of alternate sites are getting the attention of some elected officials. Los Angeles County's temporary employment industry continues to boom as the region's economy improves. Economic pressures are forcing even some of the largest studios in Hollywood to change the way they operate, and studio workers have the pink slips to prove it. Bruce Silverman's career has spawned such memorable slogans as American Express' "Don't leave home without it," and Pace Picante's "This stuff's made in New York City!" (which has cowboys ranting about the origin of salsas). Past Employers: New York Power Authority, Sacramento Municipal Utility District, Tennessee Valley Authority, Lower Colorado River Authority. The bank's dilemma may seem like a desirable one what to do with a pool of excess capital that has accumulated in the course of a recent turnaround. Can trees grow to the sky? This stock market's astonishing rate of ascent has given pause even to people like me who think investors should buy and hold. Last week, this space mentioned the difficulty that small companies have in gaining "sponsorship," or the backing of a brokerage and the recognition of institutional investors. J.H. Snyder Co. is heading for the suburbs in its latest development deal, a $35 million shopping center in Granada Hills at the site of the former Coast Savings Bank administrative headquarters. Transpacific Development Co. is "seriously considering" going public through a real estate investment trust and could file a prospectus with the Securities and Exchange Commission within the next 90 days, TDC President Tom Irish said last week. It is unfortunate that your reporter chose to ignore the important and valuable current business activities of the Century Housing Corp. in his recent article ("Century Freeway Done, but Housing Agency Lingers," July 14). Last month, Howard Paster got a call from an attorney representing a very large corporation that was involved in a takeover battle. Westwood Village has become a hotbed of development activity in recent months and that activity has prompted Malibu-based developer Larry Taylor to go on a buying spree. Speculative construction has been percolating in the Mid-Cities industrial sector for several months, and now that "spec" activity is expanding into the market's office sector. On July 31 James Lents will leave his post as executive officer of the South Coast Air Quality Management District, a position he has held for 11 years. The O.J. Simpson ordeal brought gawkers, paparazzi and a perpetual police presence to his Brentwood Park neighborhood. But amid all that turmoil, neighborhood property values held steady. Beverly Hills-based Arden Realty Inc. last week announced that it bought seven properties for a combined $188.4 million during the second quarter, bringing its year-to-date acquisition outlay to $245 million. Roy E. Disney, 67-year-old family scion and vice chairman of Burbank-based Walt Disney Co., sold 1.2 million shares of Disney stock in June. While public-sector projects still account for the bulk of billings for L.A.-area general contractors, the amount of private-sector work is growing, according to this week's List. And that private-sector demand may soon soar, industry sources said. Q We haul away and dispose of waste from the entertainment industry. Many of these items can be recycled into industrial and/or consumer products but I need financing to build that end of my business. Do you know where I can look? Office vacancy rates in the Tri-Cities of Burbank, Glendale and Pasadena have dropped to the single digits over the past year, sending rents upward and pushing several new developments. Developers are squeezing more industrial space out of the San Gabriel Valley market despite the shortage of large parcels of vacant land. A: I want to retire (laughing). I haven't thought about it. I feel that there are so many challenges right here that I haven't even thought about tomorrow. Versace-mania swept the nation last week, with shoppers scrambling to buy up anything bearing the label of Gianni Versace, who was gunned down outside his Miami Beach mansion. Nellie Seddigh eats breakfast at Tiffany's almost every day. As the new director of the Beverly Hills store of Tiffany & Co., she oversees all operations for the jewelry store. Sheriff deputies, firefighters and other county employees are garnering an ever-rising tide of disability payments and it's largely hidden from public view. Hoping to profit from the burgeoning market for soundstages, Los Angeles and Swiss developers proposed a $150 million movie studio and hotel/entertainment facility in Culver City. Commercial real estate leasing along the Wilshire Corridor was little changed over the last quarter, but the consensus among brokers was that it's just the calm before the storm. It's a word being heard more and more on Wall Street West lately, although, of course, the idea has been around for generations. Its scientists have watched the heavens for more than 60 years, but these days the Jet Propulsion Laboratory in La Canada Flintridge is itself a star. A few major San Fernando Valley commercial tenants have announced plans to relocate but they're not really going anywhere. Overview: L.A.'s vacancy rate kept dropping in the second quarter, as markets tightened in Burbank, Glendale and many parts of the Westside. Real estate analysts have cautioned for years that recovery of the downtown office market may take some time. The Port of Long Beach has reached an agreement with the U.S. Navy that port officials say will allow construction to begin next year on a shipping terminal on former Navy property. Lost amid the recent departures of First Interstate, Security Pacific, Crocker, California Federal and Great Western is the flourishing foreign bank sector. Over the past decade, KTTV-TV Channel 11 has gone from a sleepy local station to Fox Broadcasting Co.'s Los Angeles powerhouse emerging as the most-watched station on weeknights among men and women aged 18 to 54. The quarter was ushered in with the closing of the "deal of the decade" the $480 million sale of the Century Plaza Towers. It ended with Marvin Davis paying one of the highest per-foot prices in West Coast history (nearly $400) to buy back Fox Plaza. Back in 1919, after a career spent captaining cargo vessels up and down the West Coast and guiding whaling expeditions in the icy waters off Alaska, Norwegian seaman Jacob Jacobsen was ready to build a new life on land. Strapped for cash and weakened by competitors, one of the world's biggest computer-wholesaling operations is teetering on the brink of bankruptcy. There is the on-line shopping world (still largely unproven), and the real-life shopping world. Tuck Rickards is looking to marry the two. The company's market share has fallen by half in the past 18 months. Its stock has plunged to the cellar. The board just laid off the third CEO in four years. Is there any good news at Apple Computer? When the creators of "Marketplace" sat down to design a business radio program, they wanted a show that would appeal to the masses. Five months after declaring a compromise on city taxes that would keep five L.A.-based health maintenance organizations from leaving town, negotiators still have not reached a final agreement and a deal may not be cut for months. After years of being tightly shut, the spigot for speculative office construction appears to be opening gradually in the Los Angeles area. Continuing to expand its real estate empire, Walt Disney Co. has submitted plans to the city of Burbank for a new 10-story office tower on its studio lot facing the Ventura (134) Freeway. Hamstrung by a court ruling, Los Angeles redevelopment officials say they will increasingly rely on the private sector to complete improvements to the city's downtown core. With trading volume on the New York Stock Exchange reaching about 500 million shares a day, have you stopped to wonder who's handling all those shares? The Westside office market furthered its almost two-year-long resurgence in the second quarter, with vacancy rates continuing to shrink and rents edging higher. Some real estate observers are even declaring certain neighborhoods "landlords' markets." "No Vacancy" is what faces companies looking for industrial space in the Santa Clarita Valley. Located in the northernmost reaches of Los Angeles County, the area has a 1.2 percent industrial vacancy rate, according to CB Commercial Real Estate Group Inc. When L.A. City Councilman Richard Alarcon walks along a jogging path overlooking Hansen Dam in the Northeast San Fernando Valley, he sees two deep gravel pits and an outdated steam plant. For more than three years, Ventura County real estate brokers have been trying to sell an aging, 1960s-era industrial building near the Oxnard Airport. They've become a familiar site at museums and various family attractions theaters with giant, multi-story screens showing documentaries on space, nature and wildlife. Hans Benning sits in his shop, running a tiny finger plane over the backside of a cello, painstakingly sculpting a rough slab of mountain-grown maple into a smooth and graceful contour. 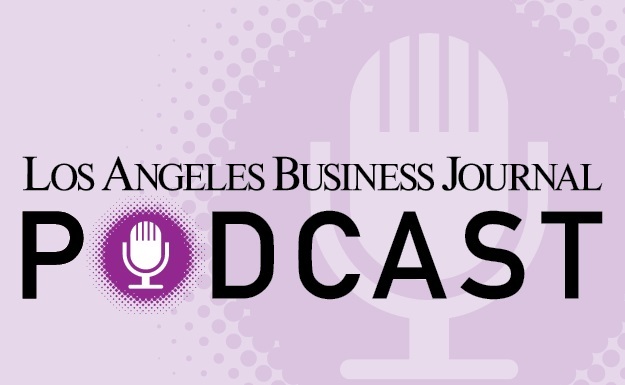 In the three years the Business Journal has published the List of Fastest Growing Public Companies in Los Angeles, only five companies have had the staying power to appear each time. When Caltrans built the Century Freeway, it did more than create the last major freeway in Los Angeles. "Small business owners have less time to monitor changes in the industry and need to rely on their vendors to proactively provide updates on new products and services." Like many small business owners, Arthur Davis wants to steer his company in a new direction but he has his hands full just keeping the ship afloat. After swallowing two of Southern California's biggest thrifts, Washington Mutual Inc. is setting its sights on becoming a West Coast powerhouse capable of taking on BankAmerica Corp. and Wells Fargo & Co. in the consumer banking arena. The Los Angeles City Council will consider placing a one-year moratorium on its own new law banning the use of leaf blowers within 500 feet of homes. The long delays in breaking ground for the massive Playa Vista project has put the brakes on a $280 million bond measure to pay for public improvements to the site delays that could adversely affect the bond ratings, analysts say. After 27 years of guiding publicity efforts at Carl Terzian Associates, Tom Tomlin is moving to Century City and forming his own public relations firm Tom Tomlin Associates. A lawsuit between developer Ira Smedra and Cinamerica Theaters L.P. was recently decided, but their feud raged on last week. If and when Northrop Grumman Corp. completes its proposed merger with Lockheed Martin Corp., its Century City headquarters will pack up and head east to Lockheed's Bethesda, Md. home base. The latest to join the growing list of office buildings commanding top prices is the so-called California Federal Bank building at 12001 San Vicente Blvd., near the corner of Saltair Avenue in Brentwood. Kent Hagan likes the fact that his business, Toyota of North Hollywood, is visible from the Ventura (134) Freeway. It's the cranes, dust and debris engulfing his car dealership that drive him crazy. Whenever policymakers try convincing their constituencies that something could be made better, they had better first establish the need to change that certain something. Otherwise, why bother? Mayor Richard Riordan has announced an ambitious agenda for his second term, including implementation of a new business tax system and boosting community economic improvement plans. For three weeks this month, more than 100 television reviewers from across the country will set up camp at the Ritz-Carlton in Pasadena for the annual Television Critics Association summer press tour. Robert Lorsch, founder and chief executive of SmarTalk TeleServices Inc. in Westwood, likes to think of his success as a real Horatio Alger tale. "Printers, copiers and fax machines scattered throughout the workplace are stand-alone devices in a networked world." This is in response to your recent editorial on Universal Studios ("Shrinking Universe," June 23). Who is underwriting your paper now Orlando Fla., home of many of the competitors to Universal Studios Hollywood? The familiar white and yellow stripes grace Giorgio's store awning and product line stripes that became world famous after the successful launch of its signature perfume in 1981. PULL QUOTE: "The attractiveness of Intranet technology lies not just in lowering networking costs and high return on investments, but in improved communications between employees, customers and suppliers." For Quarterdeck Corp., it was the kind of growth many companies dream of but few actually experience. Daniel Freeman Hospitals and Saint John's Health Center have signed a letter of intent to form a joint operating company that will pool the two organizations' resources but maintain their separate identities. "In today's information age, adequate bandwith capacity is vital to insuring fast, reliable transfer of voice, data and video information." "A broad, global approach to call center technology is more critical today than ever before--even for so-called "local" businesses..."
Twenty five years ago this month, a group of local merchants banded together to pursue the lofty goal of elevating a three-block stretch of retail shops to international prominence. Nearly a year after its grand opening, the electric vehicle-charging station at the Costco store in Lancaster sits empty most days. In fact, it gets used on average about once every two days. All mutual fund investors get an annual report, showing how much the fund gained or lost. You probably assume that your personal investment did the same. Based on Los Angeles' 100 fastest-growing public companies, there's a full-on sales boom going on. Chief executives at L.A.'s biggest savings and loans might be feeling more secure about their future these days, ever since Washington Mutual Inc. agreed to pay a premium price to acquire Great Western Financial Corp. of Chatsworth. The power play of the century is going on now in the back rooms of L.A.'s biggest energy users. In the film "The Graduate," there is a famous scene in which an older man tries to give a one-word piece of career advice to the confused college graduate played by Dustin Hoffman. Not since the 1994 Northridge earthquake will one event have such an effect on the construction industry in Los Angeles. The last big aerospace company headquartered in L.A. seemed destined to disappear last week after Bethseda, Md.-based Lockheed Martin Corp. announced that it will buy Century City-based Northrop Grumman Corp. in a deal valued at $11.6 billion. With the economy for institutional furniture manufacturers improving, Torrance-based Virco Manufacturing Inc. is shutting down its 25-year-old, 700-employee plant in Sonora, Mexico, and shifting production back to Los Angeles. Edwards Theaters Circuit Inc. will announce plans this week to build a 22-screen cinema and nine-story-high Imax theater at the Howard Hughes Entertainment Center in Westchester. On the day Albert J. Dunlap was named chairman and chief executive of Sunbeam Corp. last summer, Sunbeam's stock price soared 59 percent. It is believed to be the single biggest jump in New York Stock Exchange history, based on the naming of a CEO. Two months ago, Pacific Bell launched a brand new, technically advanced television system in Los Angeles and Orange counties unlike anything the marketplace had ever seen before. L.A.'s insurance brokerage industry is both booming and consolidating, with more than one-third of the businesses on the List posting double-digit revenue growth in 1996. Roger Richman appears to be doing quite well as a talent agent, considering that nearly all his clients are dead. During his second inaugural address last week, Mayor Richard Riordan spoke of Angelenos' optimism, vision for the future and ability to meet any challenge. New Yorkers are expected to take major seats at the table of that culinary embodiment of the L.A. lifestyle, California Pizza Kitchen Inc. The owner of Galpin Ford last week signed an agreement to buy an abandoned manufacturing plant in Burbank, where he plans to develop a multi-franchise car dealership that sells and services new and used cars. Development plans for the former General Motors plant in Van Nuys firmed up last week with the announcement that the project would break ground within three months and that four major retail tenants had signed leases. Los Angeles International Airport's Master Plan will come a little closer to reality this weekend, when the Department of Airports begins its latest series of public meetings on the ambitious, multi-billion-dollar expansion proposal. Riding herd over $21.7 billion in assets is Kenneth Shaffer, chief investment officer for the Los Angeles County Employee Retirement Association, commonly called LACERA. An increasing demand for satellites and space-related products has triggered a hiring surge at TRW Inc., which has added 2,900 workers at its Redondo Beach facility since 1994 and aims to hire another 1,200 by year's end. Just when the folks at Kaiser Permanente were starting to feel good about life again, the California Supreme Court slapped the nation's largest HMO back to reality last week. We may be about to find out, as officials with cable TV operator Century Communications Corp. begin experimenting with the concept in Orange County. As the fortunes of Los Angeles businesses go, so go the fortunes of the public relations agencies that represent them. And most of the county's top shops reported healthy revenue growth in 1996. The Arboretum office complex in Santa Monica was popping with news last week with Lowe Enterprises selling its Sony Music headquarters campus and then announcing it will build a new speculative office building elsewhere on the site. Although it may not seem so at first glance, the recent decision by a federal judge in the Digital Equipment keyboard case is a boon for computer users who sit at a keyboard every day and live in fear of repetitive stress injuries (RSI). He's a curve-ball hitter by night, but Dr. H. Rex Greene is better known for his work in the field of oncology. Bowing to homeowner pressure, Universal Studios Inc. agreed last week to cut the size of its expansion project by more than 44 percent, eliminating a new theme park, scaling back additions to its retail center and trimming the number of new hotel rooms. In response to the growing use of heroin in Los Angeles and across the United States, two local hospitals have introduced competing, high-tech methods for treating opiate addiction. TEXT: Elizabeth Brandon-Brown will be online to answer questions about Direct Public Offerings from 10 a.m. to 11 a.m. Thursday, July 17 on EC2's Cyber Chat site. Log on at http://www.ec2.edu. Already record-high alfalfa prices have jumped again in recent months, putting financial strains on Los Angeles' surprisingly large horse industry. At Warner Bros., they don't just make movies and television shows. They make automobile covers, awnings, intricately carved wooden moldings, or just about any other hand-made item you can dream up. Lenders threatening to foreclose on Rob Maguire's long-delayed Playa Vista project are keeping pressure on the L.A. developer, despite having struck a tentative new deal on the $8 billion project last week. In the six months since Pasadena-based EarthLink Network Inc. held its initial public offering, the Internet service provider's share price has shot up, tumbled down, and clawed its way back to roughly where it began, at about $12.